What does the term „brown goods” mean? The term „brown goods“ has entered in the lifestyle of people and is used mostly for: Audio, Video, Office Equipment, Satellite Equipment, Photo Equipment, Television Equipment, Telecommunication Equipment. In other words, these are electrical appliances that are constantly around us. Some of the listed appliances contain dangerous substances, while others don‘t. In the event of improper treatment, even non-hazardous may be a prerequisite for hazards to humans and the environment. When the appliance gets damaged or you just don’t need it anymore, your equipment becomes waste. Comon name is adopted for this type of waste –Waste Electrical and Electronic Equipment /WEEE/. In general, the recycling is a process in which a waste is processed to produce a raw material, which then replaces the primary raw material, required for the production of a new product. This contributes to the saving of primary raw materials, the reduction of the amount of waste, as well of the pollution of the environment. Waste recycling can reduce both the consumption of primary raw materials and the energy consumption and pollution of the entire planet. Waste recycling itself is a key component of the waste hierarchy. It ranks third after the prevention and re-use. Recycling of obsolete technology is very important for two reasons. One is that valuable raw materials can be extracted from the appliances for the production of new equipment. The other reason is that this prevents environmental pollution with hazardous waste, including heavy metals. The equipment that you no longer need or is damaged becomes a waste. 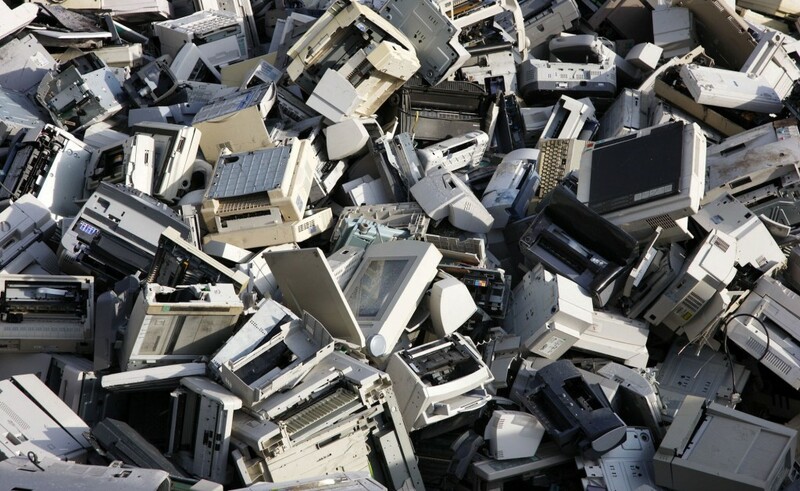 Such a technology should be given to an end-of-life collection Center for waste electrical and electronic equipment. When buying a new equipment, the seller usually offers a service that is free of charge for collection of your old technology, but you also have the option to deliver it directly to a site for collection and treatment of waste. In all cases, the equipment goes to a waste treatment site, having all required permits for waste treatment, so it is better if you personally send it to such a site, because you will get money for the equipment. When delivering the equipment, it must be solid and not broken, as well free of leakage. On a collection and treatment site, the equipment usually is tested if it is fit for reusability. If it is not, it gets disassembled in order all components and materials that can be recycled, to be separated. These include for example: iron, plastic, precious metals, contained in the plates, and other materials. After separation of the components, they are sorted by type and stored separately from each other. Then they undergo various treatment processes to prepare them in a form, suitable for recycling by the final processing enterprise. The actual recycling activities begin after they arrive at the recycling machine. There happens the real recycling and of the delivered waste that goes into the recycling machine, when it goes out of it there is already a raw material which can be used for the production of new goods. The actual recycling machines can be divided into two types. One receive the waste, which, after recycling, receive ready-to-use raw material, fit for the production of new goods. The other type have implemented the waste recycling in their actual production. They take waste for recycling, from which they directly produce their final product, thus they have actually closed the cycle of production of the goods, to the buying up of the waste and their recycling. In order to protect ourselves and the environment, the old equipment and other hazardous waste must be handed over to a company that has the right to collect them, or delivered to organized campaigns for separate waste collection. Take a look at the store if there is a place for waste collection, if you don’t see one, ask – the stores can’t refuse to accept them because they are obliged pursuant to the Laws. 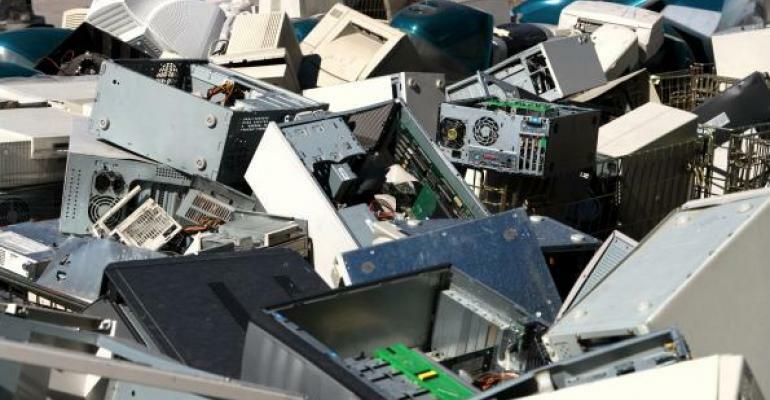 Consumers can return free of charge the obsolete waste electrical and electronic equipment to the sale points which sell EEE, when buying a similar type of a new EEE, performing the same functions, and without shopping in the big stores they can return only a small appliance with sizes up to 25 centimeters. Nord Holding AD has established a network of contractors to achieve the collection, treatment and subsequent recycling and/or disposal of hazardous waste. Our specialists will explain to you where you can deliver the hazardous waste, under what conditions and what will be their future, so together we can contribute to a safer and cleaner environment, as well to a better lifestyle.